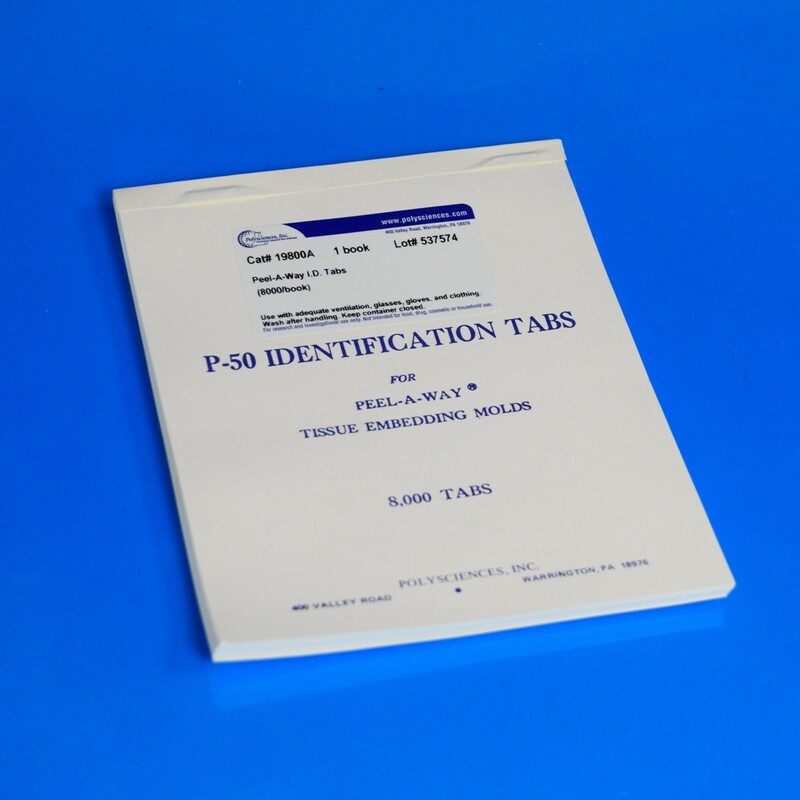 Embedding Molds - Identification Tabs | Polysciences, Inc.
Specimen identification tabs are essential for documenting ID of specimen at time of cryo embedding. Eliminates the worry of patient identification rubbing off the specimen mold or becoming illegible. Designed for our Peel-A-Way mold system and compatible with other embedding molds. Each identification tab measures 1cm x 2cm. Each book contains 8000 tabs.